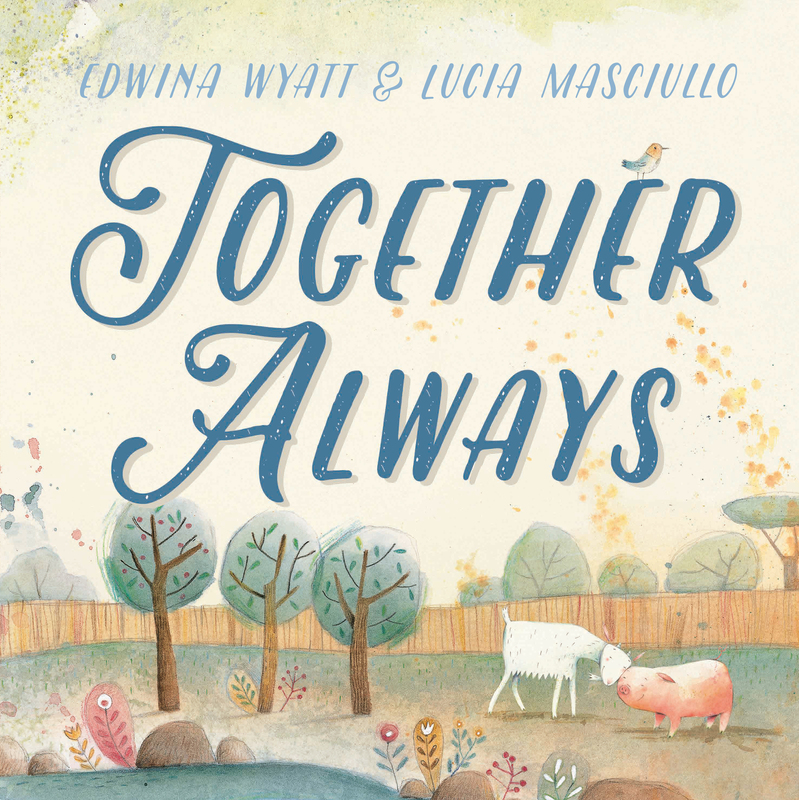 Thank you to WHERE THE BOOKS ARE for featuring Together Always – such a nice surprise. Summer is in full swing in Tasmania and everywhere we look trees are laden with fruit. We’re closely watching our plum and nectarine trees, eagerly awaiting the first ripe fruit, and I think this is what drew us to Together Always when we saw it in the library. That and the wonderfulness of friendship for the start of a new year. From time to time, there were cherries and plums in the orchard. From time to time, there were apples and pears. … no matter what hung from the trees, Pig and Goat were always together. When Pig got lost, Goat found the way. When Goat felt giddy, Pig told a story. We will stick together, said Goat. Pig and Goat do stick together—in the sun, in the orchard, in the stream. They help each other as friends do, and life is wonderful. But one day Goat feels BIG. He’s ready to leave the orchard to explore the world and, although Pig isn’t, friends stick together. So off they go. But Pig longed for the orchard. Pig wants to go home and Goat doesn’t, so the friends finally say goodbye. Their worlds are different without their friends, but they find that they are stronger because of what they’ve learned from each other. Eventually Pig and Goat discover that it doesn’t matter what is between them, they will be together. Always. I’ve had some lovely discussions with Ivy around this book. It’s great for building emotional resilience, emotional independence, accepting change, and for understanding that even as friends grow and go their ways, the friendship can remain. Together Always is a truly beautiful book—the story and the illustrations are full of hope, life and joy. All of us at WTBA wish you the same for 2018.